Admirals Cove Golf Village is located on a beautiful, pristine 45 hole Championship Golf Course that has been chosen to host the U.S Open Local Qualifier for the past 6 years. Residents of Admirals Cove Golf Village enjoy the same waterfront amenities as those living in Admirals Cove Waterfront Homes. Each of the 122 Admirals Cove Golf Village Homes are CBS Construction homes and offer a golf course view, are 3 or 4 bedrooms. 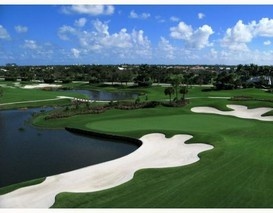 Admirals Cove Golf Villages offers both single story homes, as well as 2 story homes. For more information on Jupiter's Admirals Cove Golf Village, please feel free to call or text us at (561) 371-7550, or email TheShattowGroup.